Hi everyone! 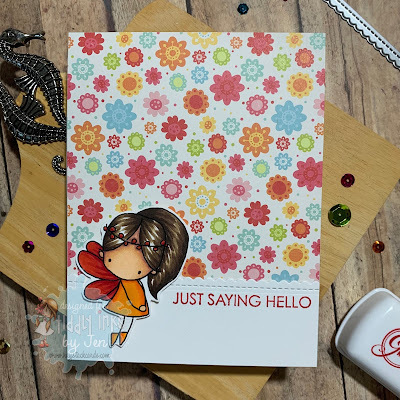 I'm back to share another card I created using an image from the Little Valentines Royal Fun digital stamp set at Tiddly Inks. This was pretty simple to create. 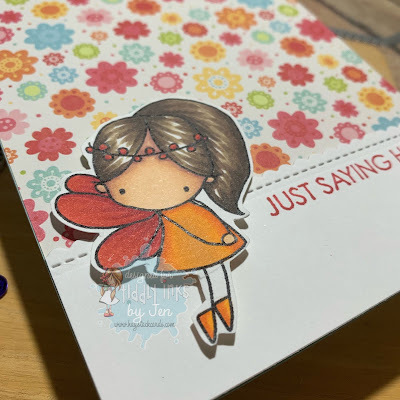 I added patterned card stock to the card base, a stitched white panel at the bottom to ground the image and a stamped sentiment in coordinating dye ink.